Inventory We are a resale marketplace, not a box office or venue. Ticket prices may exceed face value. This site is not owned by Popejoy Hall . Popejoy Hall has been the best facility to catch all the hottest traveling Broadway shows in New Mexico since it's massive renovation in 1996. The Popejoy Hall box office is located on the University of New Mexico campus at 203 Cornell Drive in Albuquerque. 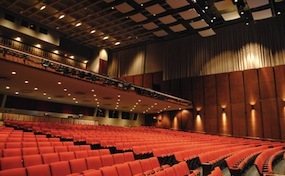 The performing arts center has a seating capacity of 2043 guests. Popejoy Hall tickets have included hit Broadway shows like the Lion King, Wicked The Musical, Jersey Boys, Phantom of the Opera, and many more. TheatreAlbuquerque.com is not affiliated with any official box office, website, supplier, and or primary venue. We are an independently owned and operated company that concentrates solely in the online retail of all events in the secondary ticket market. Prices on our sites may be well below or above face value and can change quickly with demand. To order tickets to all Popejoy Hall Albuquerque events please follow the steps online through the secure checkout or pick up the phone and call our operators at anytime.